Spa Day At Adrenaline To Restore Body, Mind And Spirit! The ultimate indulgence of day spa experiences provides body and beauty treatments fit for royalty. 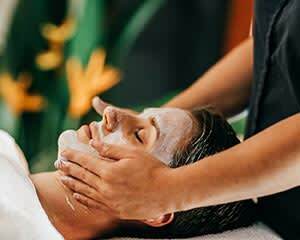 Personal care and replenishment of the highest degree for body, mind and spirit are assured in the day spa packages offered online at Adrenaline. Your every physical and holistic need is fulfilled at premium spa facilities throughout Australia. Facials, massage, exfoliation and all luxurious spa rituals are conducted by leading professionals in the refined art of pampering, beauty and body treatments to savour. If beauty is skin deep, a day spa is designed to restore you inside out and from head to toe in radiant style. Put simply, a day spa experience embodies mindful, physical and soulful rejuvenation and restoration in pure luxury. Everybody needs a little indulgence that is embraced in abundant tender loving care. The individual focus of a VIP day spa treatment is designed to replenish the senses and spirit with peerless techniques and long-term benefits. Adrenaline offers an extensive selection of day spa experiences at leading therapy and treatment centres throughout Australia. The day spa packages are as tempting as the price range, with value-packed group offerings, couples therapy and solo bookings for the ultimate in facial, body and holistic treatments at premium day spa facilities. You can order day spa packages online or choose to purchase an Adrenaline gift voucher to redeem your dream-worthy spa treatment. 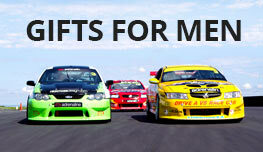 Gift vouchers are valid for three years and can be emailed to the gift recipient or pre-ordered to arrive in a trademark brushed-metal gift box. What does day spa mean? As the term suggests, a day spa is a treatment centre or facility that provides daylong or shorter-length therapy sessions that are expertly conducted to completely refresh and restore the mind, body and soul. A day spa ritual, whether in the form of massage, facials, exfoliation, hair removal and all cosmetic and beauty treatments, provides the ultimate indulgence in personal pampering. What does a day spa offer? All the best day spas offer a range of luxurious treatment options, from traditional massage, facials and beauty treatments, to new-age therapies involving hot stone massage, salt body scrubs and clay body wraps that achieve the ultimate in exfoliation and skin-glowing restoration. A day spa generally provides steam rooms, hot bathing pools or tubs and beautifully appointed therapy and treatment rooms with artful, calming interiors and melt-worthy massage beds. What is involved in a spa day? Complete replenishment of body and mind, with an innate focus on inner restoration and reinvigoration, combines the essence of spa day therapy. Adrenaline offers an extensive range of irresistible day spa packages at the most inviting prices. 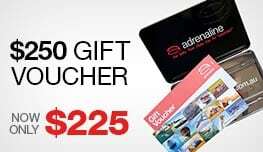 Adrenaline’s lowest price guarantee on all of its spa-therapy events, as well as the 2500-plus experiences on offer Australia wide, amounts to ultimate value and pampering in one. and nourishing treatments embrace traditional Aboriginal healing techniques to nurture and revive body, mind and spirit. The Massage, Be Reincarnated Women’s and Men’s Treatments 1.5hrs – Melbourne is another bestselling experience that provides physical and soulful rebirth in this blissful massage treatment therapy. Your total body relaxation massage also includes a personalised manicure or mini pedicure. Soothing aromatherapy oils customised to suit your mood or restorative intentions and complete indulgence from the soles of your feet to the outer reaches of your mind will restore inner balance and reincarnate the spirit and senses. For group spa therapy sessions offered with maximum savings, opt for the Massage, Indulgent Hen’s Day Package, 1hr 15mins – Melbourne. This value-packed offering involves party-style pampering for combination massage, facial and foot treatments for groups of up to 12. There is also a selection of pregnancy massage therapy for women in their second or third trimester. This specialised treatment aids in reducing swelling, soothing the nervous system, alleviating cramps and pains and reducing insomnia.